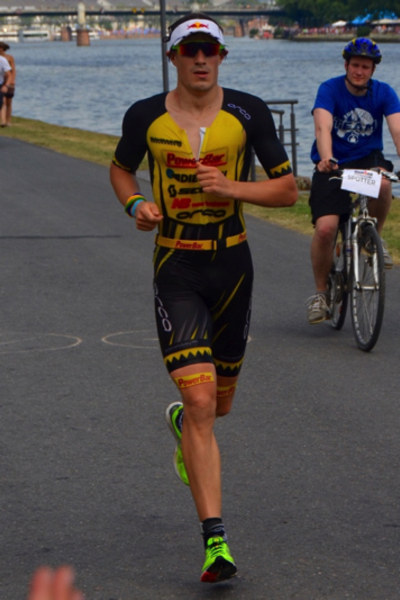 The defending champion would love a repeat of the 2014 race: “Sebi” quickly made up four minutes he lost on the swim, then rode away from the field, posting a 4:20 bike split that was more than 10 minutes faster than the rest of the Top10. A controlled 2:54 marathon allowed him to win the race by five minutes. Sebi might be limited to one race plan: Build a lead with a hard bike, then maintain it on the run. But Kona 2014 proved that it’s hard to counter that strategy when he is on form. Kona Champions often struggle in the year after their win as there is a lot of demand on their time in the days before the race. Pete Jacobs seemed a bit overwhelmed by it, Frederik Van Lierde tried to avoid it by having his own press conference and minimizing all other events. Sebi enjoys the interaction and banter before the race, but he will try to manage the demands on his time as much as possible. “I hope that there will be a lot more demand for me after the race than before the race”, he says. Sebi has had a solid 2015 season so far. For any other athlete a second place in Frankfurt would have been a great result (especially considering that his bike split was faster than last year despite the heat). But after being dominated by Jan Frodeno in Frankfurt, he will be very motivated to be the top German finisher in Kona. Sebi also wants to continue his streak of World Championships: He was 70.3 Champ in 2012 & 2013 and Kona Champ in 2014. Kona is the only chance left for a World title this year, and Sebi will be ready. He’s following a similar plan as in the years before, arriving about five weeks before the race in Hawaii: “That plan fits me very well, you don’t have all the travel hassle at a time where you do the last hard training block (15 to 12 days before the race). Overall my training was more race specific, more four to six hour sessions at race intensity.” His great run split in Zell am See (faster than Jan and Javier Gomez) shows that he has already improved on the run. (Sebi views that result as his highlight of the season so far.) The gap in T2 that the other athletes can afford is smaller than ever before. 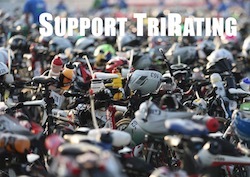 For more about Kona check out my free “Kona Rating Report” – 150+ pages with tons of information about the Pro race!